Smartphone manufacturers are always looking for ways to differentiate their products from the competition, but this largely consists of UI skins and different build materials. Occasionally someone will stick on decent sound speakers or introduce a way to wake up a phone without using buttons, but much of the experimentation hardly stands out as something that makes one phone stand out against another to someone who doesn't follow phones as their passion. Eventually someone says screw it—we're gonna kick it old school, and announces an Android-powered flip phone. Samsung has done it a time or two before, and now LG is taking a swing with the Wine Smart, a flip phone that runs Android 5.1.1. The Wine Smart comes in a traditional chamshell form-factor that, at this point, some of you might actually be too young to recall. The bottom half has buttons while the top is home to a 3.2-inch touchscreen. Interestingly, in addition to the standard numpad, power, camera, and other keys we've grown accustomed to, LG has tucked in the standard Android buttons along the top. There's a back arrow, a home button, and the square that pulls up recent apps. Though with only 1GB of RAM and 4GB of internal memory, you probably won't be running all that much software at once. And the display's 480 x 320 resolution is low enough that the photos you take with the 3MP camera might actually look okay. Don't expect much in the way of uumph from this device. 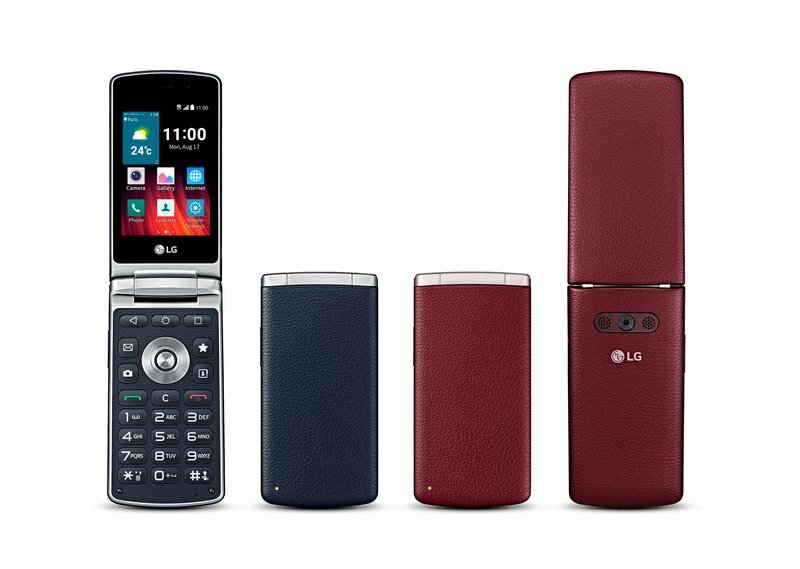 The phone was originally announced in Korea as the LG Gentle, but the Wine Smart will come to other countries later this month. Targets include France, Italy, Japan, Kazakhstan, Poland, and others. Exact pricing and availability aren't yet available. 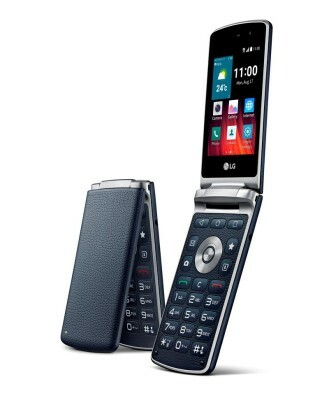 SEOUL, Aug. 5, 2015 — LG Electronics (LG) brings global consumers with its newest hybrid smartphone designed especially for a generation of users who are more accustomed to the feel of flip — also known as folder or clamshell — phones. Originally announced in the domestic Korean market as LG Gentle, the all-new LG Wine Smart will make its international debut later this month in target countries including France, Italy, Poland, Spain, Kazakhstan and Japan, among others. The Wine Smart combines the familiarity of a folder phone with an easy-to-use touchscreen and the connectivity and power of a smartphone. Thanks to the positive response to the original Wine Smart introduced in Korea last year, LG optimized the latest model with more advanced multimedia features to make the transition from feature phone to smartphone as seamless as possible. The new LG Wine Smart is powered by Android Lollipop 5.1.1 to run the latest apps without complaint. To truly optimize the new Wine Smart for flip phone fans, LG included a large physical 3×4 numeric keypad for easy and accurate typing and hotkeys that provide instant access to frequently used features such as phone dialer, address book, text messages or camera. Larger-than-normal icons take full advantage of the 3×3 home screen layout on the crisp 3.2-inch HVGA display. The Wine Smart includes LG’s Safety Care feature which can be set to automatically transmit emergency alerts and real-time location to pre-selected contacts whenever the user needs immediate assistance. Prices and carrier details will be announced locally at the time of launch.